The 39th Annual Door County Antique Show, sponsored by the Sister Bay Lions Club, is also taking place this weekend. The three-day show starts today from 10 am to 6 pm in the Gibraltar High School gymnasium. Thirty-five exhibitors will be selling fine art, choice primitives, ornate Victorian pieces, jewelry, furniture and more. There will also be Crystal and China Repair on site. Admission is $5 and is good for all three days. Proceeds will benefit Leader Dogs for the Blind. Hayward is once again hosting the Lumberjack World Championships over the weekend. The event began in 1960 as a way to recognize the country’s rich logging history. Today, the event showcases more than 21 unique competitions for both men and women. Activities include logrolling, chopping and pole climbs. All participants are competing for more than $50,000 in prize money. Celebrate the 20th anniversary of great food, music and art in Pewaukee. Visitors will be able to sample the best the best of the area in all in one place. The celebration will be held on both Friday and Saturday. How do you plan to spend Saturday and Sunday? Whether you plan to be out and about or just take some time to relax, all of us at Lions Pride wish you a good weekend! Each year, Lions from all over North America come together for three days of fellowship to train and share ideas. This Friday, Lions and Lionesses from Wisconsin will be in their company as they are headed to the “River City”, also known as Grand Rapids, Michigan, from the Lions Leadership Forum. We just named a few. See the full schedule here. In addition to education-rich seminars, other special events will also happen throughout the weekend. 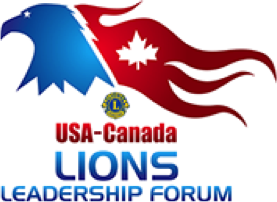 There will a Young Lions Forum, hands-on computer guidance, Lions University Graduation and Lions Fun Festival. Lions Pride is also excited to see that our friends at Leader Dogs for the Blind will be exhibiting. We got to spend the weekend with them back in August. 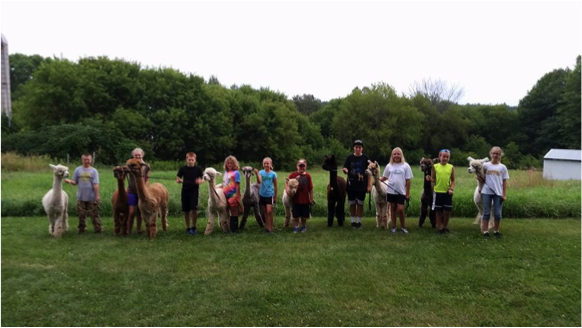 Now all forum attendees will be given an opportunity to experience what it’s like to walk with a Leader Dog. There is a reason Lions look forward to this weekend, year after year. There is truly something for everyone. To everyone attending the Leadership Forum, we hope you have a safe, enjoyable trip, and we can’t wait to hear about everything you learned when you get back!